Aqua Jet 50 Hanging counter current unit is a perfect retro fit device. The Aqua Jet 50 has an output of 48m³ per hour to give a good hydro-resistance for swimming against. Aqua Jet 50 Hanging counter current unit is a perfect retro fit device. 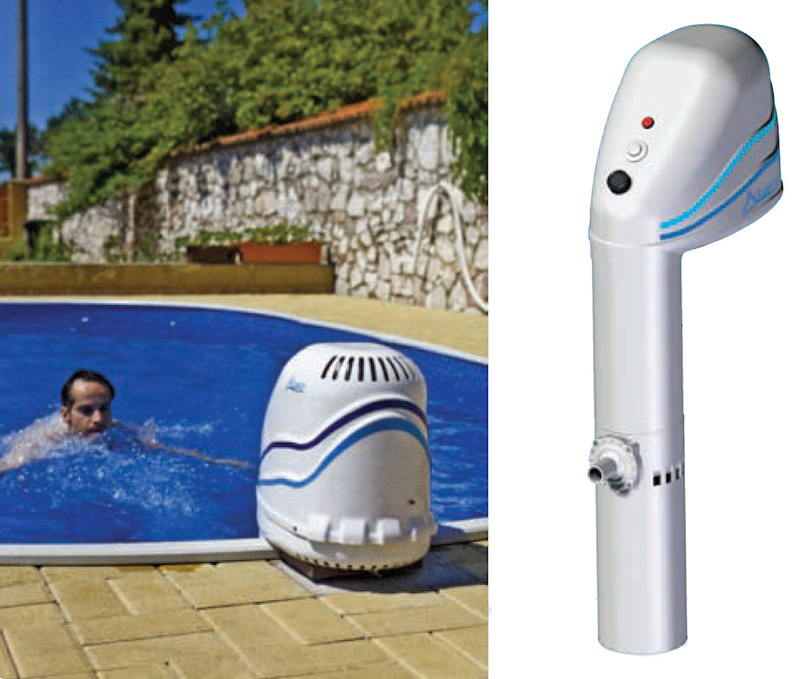 The Aqua Jet 50 has an output of 48m³ per hour to give a good hydro-resistance for swimming against. It is equipped with LEDs that are integrated into the lid jets, and lightens the swimming pool at night.  48m³ per hour water flow (48,000 Litres or 10,560 Gallons). The Light switch is only accessible from within the swimming pool whilst using the device. This product is a factory special order, as such it is shipped directly on a 2 - 3 working day delivery.